A starry night is simulated on the ceiling and the East Indian rosewood veneer, which snuggles up next to the smoke gray and navy blue contrasting leathers, makes for a spectacular car. At the recent Middle East motor show held in Dubai, Rolls rolled out this limited edition ride and all of its amazing features. If you like the outside you'll love the trimmings on the inside. I thought a Rolls-Royce was luxurious but the new Phantom Tungsten is downright seductive! (There is something about a rare metal with wheels). Posted by Beezy at Saturday, December 08, 2007 . It is reckoned that the console was estranged from the rest of the cabinet instantly following the Second World War. The delicate Roman furnishings included its missing gild wood base that was revealed on the exteriors of pizza restaurant wash-room in Yorkshire. An old but bold 17th century cabinet portraying the Pope showering blessing to the horde in Rome lately got sold for nearly more than $2mn to a European private collector at the Sotheby's. It was anticipated to generate a sales of $14, 00,000 to $ 2 million and by marking more than that it is been seen as the significant item to boost Sotheby's sale of noteworthy Italian and Continental fixtures. This beautifully festooned generated sales of $2,210,000 (including buyer's premium). Leading cognac brand Hennessy latest offering of ultra-Cognac-dream is Beauté du Siècle, an ornate treasure chest that comes packed with luxurious items, a Baccarat decanter carrying a blend of Cognac dated 1907. Also you can eye Hennessy's Ellipse, a 7,000 Baccarat decanter that is an amalgam of Cognacs admired by seven generations of Hennessy's blend-masters. True, Russia is considered as the land of vodka, but it's a tawny alcohol from France adds a spark of a Cognac Rush in the territory of hyper-rich oligarchs and aficionados. Not to forget the age and price of the cognac, which shares a directly proportional relationship. The four-big Cognac houses that rule Russia are Hennessy, dominating the minds of the people followed by Rémy Martin, Martell and Courvoisier combating for their share. It consumed around 5.3 million bottles during the year ending July, which is 49% more than the corresponding period a year ago. Celebration of occasions doesn't seem to be complete if the glaring bottle of crystal-encrusted cognac nestled with a fancy chest is not flowed. Russia has reached to the pedestal of world's No. This occurrence is not driven by well-to-do Russians but also the emerging wealthy middle layers of society. Counter 100 treasure chest are being designed by French artist Jean-Michel Othoniel and would go on sale for 150,000, or $220,000. The timepieces maintain the De Beers Talisman collection that gels multi-faceted and rough diamonds in a variety of whites, yellows and browns. Renowned name in the industry of diamond, De Beers has gone a step further to publicly disclose its latest watch collection via online. It has 18K yellow gold case, cream-shade dial with a baguette cut diamonds and one rough, unpolished diamond. Its buckle is also bathed in 18k yellow gold. The watch uses a quartz movement and is retailed at $15,000. Out of the lot, the one that caught my eye is Talisman 8 watch. Before the prospective customers could start making bid for the sale of this great connoisseur of art, a pool of praises was around declaring it to be the 'finest sculpture on earth' taking it for granted that the market agreed with him. The record-breaking sale managed to break the previous record of the highest price paid for a sculpture that stood at $29.1 million for the Sotheby's for Picasso's "Tete de Femme (Dora Maar)" during last month. The breaking sale of the sculpture has set a record in the industry of artistic creation of sculpture and antiquities. The holder and now seller of this masterpiece sculpture is a benevolent trust recognized by the family of Alastair Bradley Martin, a former chairman of Brooklyn Museum who tagged this sculpture to his name around 59 years ago. Featured above is a Guennol Lioness that is over eight-centimetres tall and has bagged the tag of being the one of the last known magnum opus from the dawn of civilisation residual in private hands. Counted five bidders were battling for the sculpture, three on the telephone and two in the room. A miniature and awfully rare 5,000- year-old white sandstone sculpture from ancient Mesopotamia got sold for $57.2 mn in New York. The proud English buyer wishes to stay anonymous. The very idea of customers demanding platinum studded gadgets clicked the company's senses and they end-up experimenting with this precious metal. Lately, the company has made an effort and designed the first third-generation Apple iPod Nano coated with Platinum. Platinum suits perfectly on the iPod nano. Goldstriker has plans to release the much-in-demand Platinum iPod nano 8GB by early January 2008. UK-based Goldstriker has unveiled their platinum-encrusted gadgets on the very request of their savvy audience. What do you think about the creation? It can be yours on a mere drop of mere $822. And personally speaking, I find platinum far more appealing than gold. Any plans to buy one? 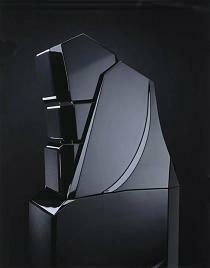 Edge of the Art award and the 2004 Ultra Audio Product of the Year, the X-2 is the most expensive speaker system in the world. So how much do the most expensive speakers in the world cost? Wilson Audio, makers of high end audio systems such as MAXX, the WATT/Puppy System and Sophia, have combined and perfected the technologies utilized during the development of these systems into their flagship speaker system, the Alexandria X-2. The X-2 may look like the X-1, but the similarity ends there. Winner of the 2005 Soundstage! They run on a minimum of 20 watts with 8-Ohms of impedance. With Aspherical Group Delay and tracks with over 30 indents for each driver module, these expensive loudspeakers can deliver optimal performance to any position in any room. This expensive speaker system includes a 13" woofer, a 15" woofer, 2 midrange 7" speakers, a tweeter and a rear-firing super tweeter. This price includes installation, a process which every Wilson dealer has been specially trained to perform. They come in four colors, with eleven "upgrade" colors available to those willing to spend a little extra. The amount paid for the license plate was almost ten times as much as the former most expensive license plate, 'M1', which fetched about $660,000 in Yorkshire, Northern England last July. Oddly, the expensive license plate displays the number '5'. He also bid on two other expensive license plates, '55' and '45'. He won the expensive license plate after placing the winning bid during an auction to benefit individuals with special needs. You would think the most expensive license plate in the world would at least read '1' or maybe something clever alluding to the owner's wealth. Talal Khouri, a Dubai-based businessman, made history recently when he became the owner of the world's most expensive license plate. Khouri appeared extremely proud after dropping a fortune on the expensive license plate with such an arbitrary number on it, which just goes to show that people in Dubai are insanely rich. So just how much did the coveted '5′ license plate go for at auction? I will keep it and after my death it will be re-auctioned and probably raise more money that will again be given to charity and humanitarian work," he added. 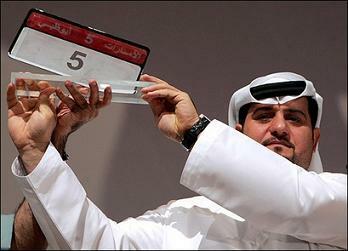 Reporters asked if the number '5′ had any special or sentimental meaning to Al Khouri. Those of us who don't have $5,000,000 to spare on the world's most expensive gift card can take comfort, though, in knowing that we can still give our loved ones Amazon gift certificates for up to $5,000. That may just be the most expensive gift card in the world. If they're anything like the rest of us the answer will, in most cases, be "gift cards". The difference, of course, is in the amount of money attached to the card. Dream Card members have access to Halcyon's system of charter flights for one-way trips, round trips and single or multiple flights to and from nearly any location in the world. Cardholders even get their own PAS (Private Aviation Specialist) and a personal concierge to assist in making dining and entertainment arrangements through an exclusive network of luxury accommodations, services and good guaranteed to satisfy their superior tastes. Members have a broad range of aircraft, from Lear jets to helicopters to even jumbo jets, from which to choose their preferred method of travel. 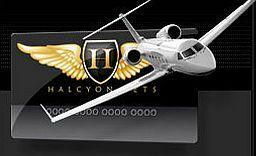 Halcyon Jets, for instance, is offering a $5 million Dream Card. What do billionaires get each other for Christmas? A button-press can open, close or warm the seat, change the water temperature, perform a powerful "Cyclone flush" instead of the automatic light flush or control the Washlet functions you'll use to tidy yourself up after using the expensive toilet. Six seconds after you're out of range of the toilet's sensor zone, it will automatically flush and close both the lid and the seat. For starters, the lid automatically opens whenever you approach the toilet. They could, on the other hand, be the proud owner of one of the world's most expensive toilets. The basic functions of the world's most expensive toilet can, of course, be manually operated in case of a power outage. Despite the Japanese company's lack of exposure in the Western world, Toto is the world's largest toilet manufacturer. 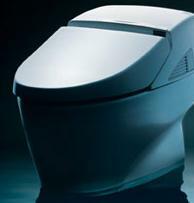 Toto's most expensive toilet, the Neorest 600, has a wide range of features to answer that question. If someone were to say, "I just bought a Toto," you might think they'd purchased a little black Terrier and named it after the Wizard of Oz costar. As soon as you rise from your state of the art porcelain throne, it automatically engages its Power Catalytic Air Purifier function. For those functions that aren't automatic, there's a wireless remote control. De Beers, the world's biggest diamond company declaring that they were selling the historic Cullinan Diamond Mine in South Africa where the largest diamond ever found. 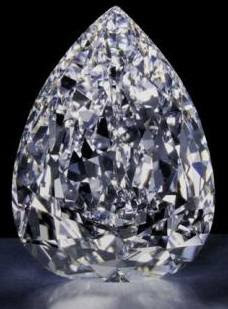 "Over the last 100 years, Cullinan has played an integral part in writing the history of diamonds - giving the world its largest ever gem diamond, the Cullinan diamond, as well as many of the most famous and spectacular diamonds ever seen, including the two largest polished diamonds," he added. The Cullinan Diamond Mine, established in 1902, is famous for the world's largest ever rough diamond, The Cullinan Diamond, which was discovered in 1905 and weighed over 3000 carats uncut. De Beers company, the one that produced the largest diamond, The Cullinan, which weighed over 3000 carats, uncut. The grand mine will go off for $147 million to the Petra Diamonds that is the second largest producer of diamonds in South Africa after De Beers, and is partnered in the country by Thembinkosi Mining Investments (Pty) Ltd which "brings together a significant pool of empowerment players". The Cullinan Diamond Mine is one of the most illustrious diamond mines in South Africa and we are delighted to have concluded this transaction which will ensure a viable and sustainable mining operation for many years to come," said Petra chief executive Johan Dippenaar. This will enable De Beers to best use our capital to invest in exciting growth opportunities and to sustain a strong diamond mining business in South Africa for the future," said Gareth Penny, Managing Director of the De Beers Group. The mine is also the world's only significant producer of rare blue diamonds. If you intend to buy this Elephant Brooch from Tiffany's then you will be honored to join the list of impressive clientele of Schlumberger that included John F.
Now this elephant brooch designed by Jean Schlumberger is come from the famed jewelry house of Tiffany & Co. This animal headed brooch was made from Platinum and 18K Yellow Gold and decked with diamonds and sapphire accents, this is one-of-its-kind piece of jewelry. Jean's designs are always based on mythological creatures from the sea and the forest. Schlumberger was a prolific designer, with an imagination to match, who continued to design into the 1980s. Although he died in 1987, his work remains a prominent part of the company's offerings. Kennedy, Jacqueline Kennedy, the Duchess of Windsor, Babe Paley, Greta Garbo, Bunny Mellon, C.Z. Guest, Gloria Guinness, Françoise de la Renta Princess Marina, Duchess of Kent, Lyn Revson, Gloria Vanderbilt, Elizabeth Taylor and Audrey Hepburn. 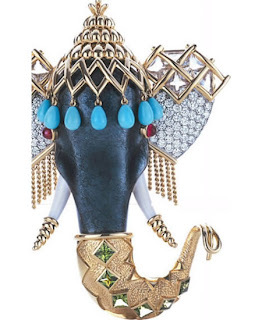 We have seen an elephant encrusted with diamonds but in figurines. As if I though, just for a time split second, that the creampot was destined to my dustbin after the cream was over. It's second time around after the "Pimp my Ride", here is "Bling my creampot"! The creampot can be refilled. 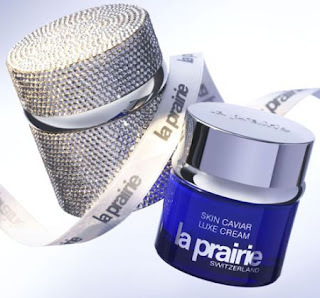 La Prairie have been gifting the beauty freaks with creams blending the luxurious caviar for external use, but this time they have outclassed themselves! It' s the brand which is famous for blending caviar into its cremes. Anyway, the cream's ready to use before putting on one's Cavalli H & M's outfit. Then I totally go crazy when all of this is packaged in a creampot incrusted with Swarowski crystals, as a result of a 48 hours labour. Have you ever heard of "La Prairie"? Am I not bitchy enough today? Now is the diamond encrusted sneakers. I think this diamond encrusted sneakers is perfect pair for a diamond shoelace clips. We've already featured diamond shoelace clips that worth $7500 as well as the world's most expensive jeans with diamond button and rivets. 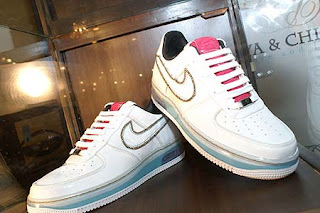 The costly sneakers were studded with 11 carats of diamonds. The pricey sneakers were presented to Outkast's Antwan "Big Boi" Patton by Laced Up owner Ernel Dawkins and P&C Couture boutique owner Rita Patel. Hip-hop singer Antwan "Big Boi" Patton was presented an exclusive pair of diamond encrusted Nike So Cal 1's valued at $50,000.